I was pretty lucky on this day. I had just arrived in Moab the night before. The forecast called for snow — but only from about 5 to 8 a.m. 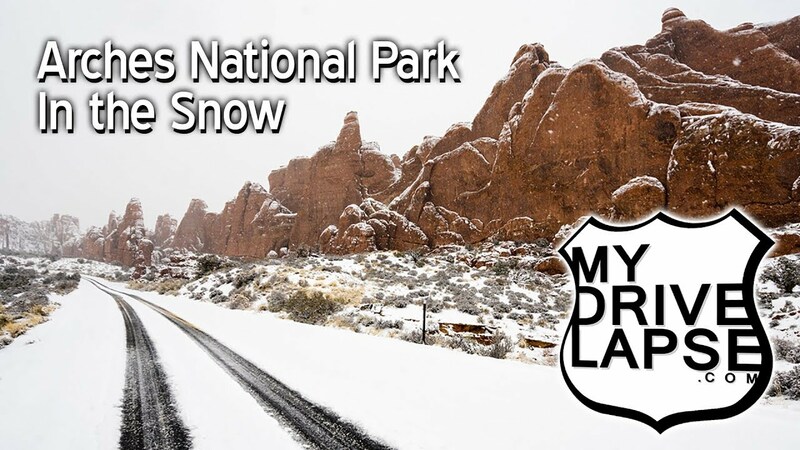 So, I got up before dawn and drove into Arches National Park, where it was pouring the snow! The forecast was right — it didn’t last long, and by midday the roads were clear, but there were still some nice accents of snow on those red rocks. This video shows my entire day of driving, and a timelapse at Devil’s Garden when the weather started to clear. I hope you enjoy it!